Over our lifetime, we spend over $30,000 and 1,400 hours shaving, waxing, and tweezing unwanted hair. Let’s talk about how we can stop wasting time and money and make life easier. The answer is Laser Hair Removal! You probably have friends who had this done but you may be confused about how effective Laser Hair Removal will be for you. So, let’s get the facts straight. Lasers remove unwanted body hair quickly and safely by destroying the hair follicle with a beam of light energy that is set to avoid damage to surrounding tissues. The hair pigment (melanin) absorbs the laser energy, which damages the hair follicle and renders it incapable of growing hair. 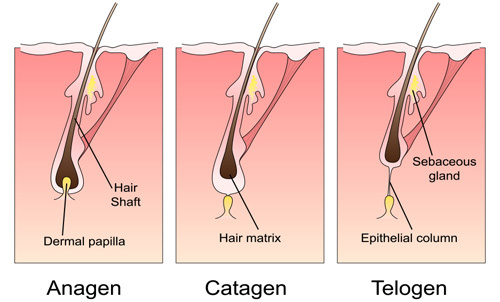 Hair growth occurs in a three-stage cycle: growth (anagen), atrophy (catagen), and dormant (telogen). Laser Hair Removal is most effective during the growth stage, when the hair follicle is large and active. 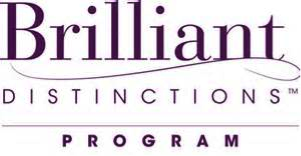 It is partially effective during the atrophy stage, when the hair follicle is shrinking. It is ineffective during the dormant stage, when the hair follicle has disappeared. On any part of your body, some of the hairs are in each of the three growth stages. The percentage of hair in the dormant stage and the duration of the dormant stage vary by anatomical location. When you receive a Laser Hair Removal treatment, almost all the hairs in the growth stage and many of the hairs in the atrophy stage are destroyed. Over time, dormant hairs that were not affected by earlier treatments will enter the growth stage where they can be destroyed by the laser. We normally suggest four to eight weeks between treatments to allow enough dormant hairs to enter the growth stage. Six treatments are usually required for optimal results. The best candidates for Laser Hair Removal have coarse, dark hair and light-colored skin. The laser light is absorbed by the melanin pigment so hairs that have little or no melanin (blonde, gray, white, or light red hair) can’t be treated effectively. It is more difficult to treat dark skin (including tanned skin), which absorbs more of the laser energy and requires the treatment to be performed at a lower power. When a hair follicle is destroyed, that hair can never grow again. However, some hair follicles may be too light or thin to respond to laser treatments. The remaining hair will be finer, softer, whiter, and less dense but treated areas may not be without all hair. New hair growth in treated areas may later be triggered by conditions such as hormonal imbalance, pregnancy, medications, or menopause. Such new growth consists of hair follicles that were permanently dormant until activated by the hormonal changes or medication. The technology of Laser Hair Removal today is comfortable and, for many body areas, it is completely pain free. Most people describe it as a series of rubber band snaps. The sensation is affected by the number and thickness of the hair follicles and some parts of your body may be more sensitive than others. Compare that to a lifetime of shaving cuts and scrapes! Yes. Shaving results in a more comfortable treatment with less irritation afterwards.